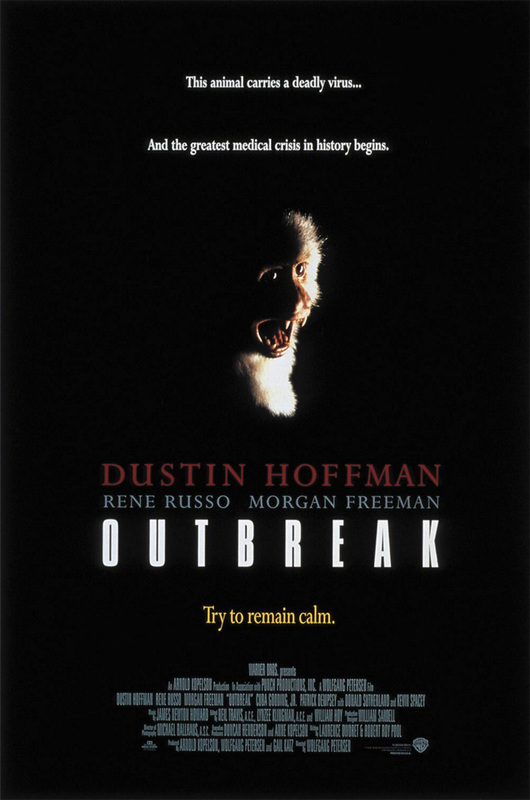 Dustin Hoffman stars as a military expert in infectious diseases desperately trying to save a town from a deadly virus. VIOLENCE/GORE 6 - A few battle scenes: bombing and shooting. Scenes of people suffering from a strange disease, with small lesions on their faces. A stack of covered corpses is shown. A village is bombed and we see the horrified expression on peoples' faces when they realize what is happening. Discussions of how a virus kills people horribly. Charred skeletons are seen with skin hanging from them. A man throws up in his gas mask. Several people are shown in different stages of disease with lesions on their reddened faces and blood coming out of their eyes and ears. We hear gruesome details of an autopsy. Many scenes of people sweating, coughing and convulsing and twitching. A sick monkey is shown. LANGUAGE 6 - 10 F-words, 11 scatological terms, a handful of milder obscenities. DISCUSSION TOPICS - Illness, toxic viruses, the military, sacrifice, megalomania. MESSAGE - Sometimes you must sacrifice the few to save the many but be sure you're doing it for the right reasons.